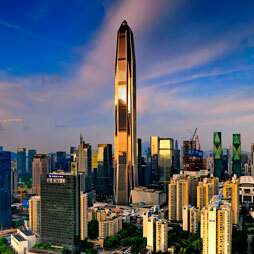 Nanjing – This tower uses a distinctive external bracing system, which creates more efficient lateral support, requiring less steel and an overall 20% reduction in building material. 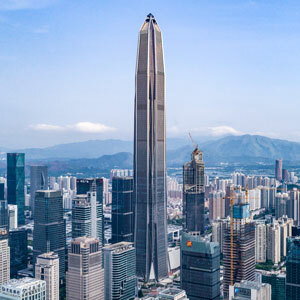 Hong Kong – In order to accommodate its supertall height, One Island East features 28 high-speed passenger lifts, six high-speed shuttle lifts, and one passenger lift. 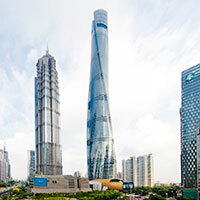 Shanghai – As the third tower in the trio of supertall buildings at the heart of Shanghai’s new Lujiazui Finance and Trade Zone, Shanghai Tower embodies a new prototype for tall buildings. 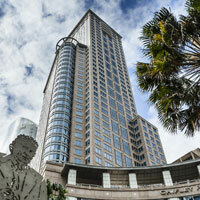 Originally completed in 1992, Chifley Tower underwent an overhaul of its key building systems and services to deliver vastly improved performance, energy efficiency, and reliability. 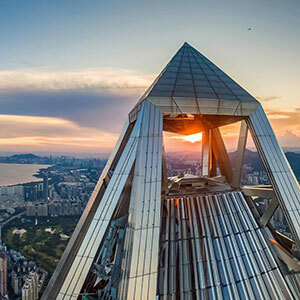 Eton Place Dalian is located on a six-hectare site in the central city and features a mix of uses including office, hotel, retail, entertainment, convention, SOHO, and residential. 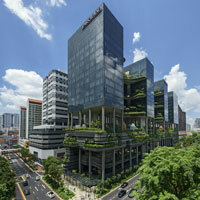 The Jockey Club Innovation Tower is a new school of design building for the Hong Kong Polytechnic University which offers a creative and multidisciplinary environment. 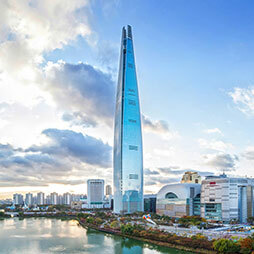 This tower uses a distinctive external bracing system, which creates more efficient lateral support, requiring less steel and an overall 20% reduction in building material. 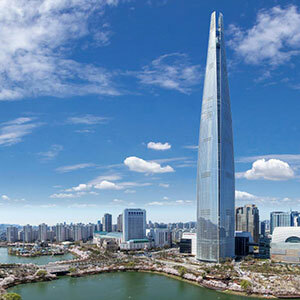 Taking inspiration from traditional Korean art forms in the design of the various interior spaces, the sleek tapered form will stand out from the city's rocky mountainous topography. 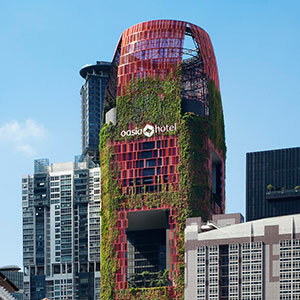 The 929,000-square meter Marina Bay Sands is conceived as not just a mere building project, but as a city microcosm rooted in Singapore’s culture, climate, and contemporary life. 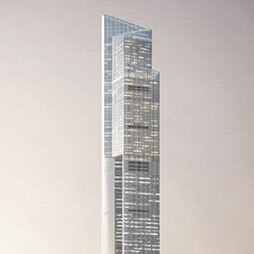 In order to accommodate its supertall height, One Island East features 28 high-speed passenger lifts, six high-speed shuttle lifts, and one passenger lift. 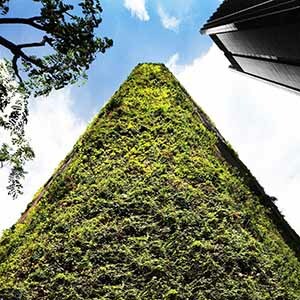 In PARKROYAL on Pickering the green strategies work together in a way that is both operationally sound and aesthetically captivating. 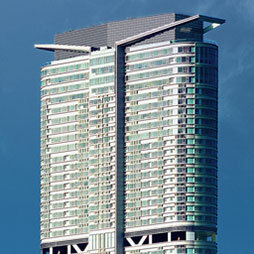 This building was built incorporating earthquake-proof features, with a chamfered square floor plan that continues to taper as it rises, reducing wind loads. 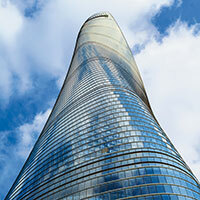 As the third tower in the trio of supertall buildings at the heart of Shanghai’s new Lujiazui Finance and Trade Zone, Shanghai Tower embodies a new prototype for tall buildings. 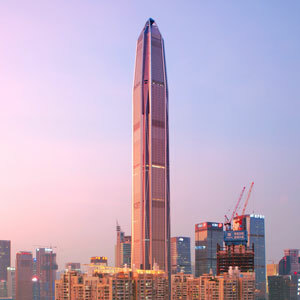 This 257 meter tall skyscraper is home to the Hyatt Regency Hong Kong, along with 345 residential units. Rider Levett Bucknall is an independent, global property and construction practice with over 3,500 people in more than 120 offices across Asia, Oceania, Europe, Middle East, Africa and the Americas. 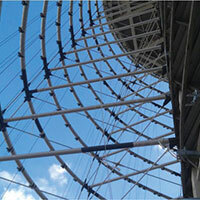 Services provided include Cost Management, Project Management and Advisory Services. 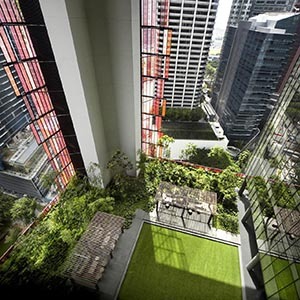 The firm is committed to delivering high quality outcomes through advice focused on the cost, quality and sustainability of the built environment. 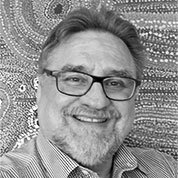 The Practice can trace its roots back to the 18th century and prides itself on its dedication to customer care and leading edge, quality service provision. 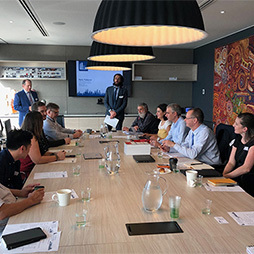 The day before the CTBUH 2017 Australia Conference, delegates gathered for the Calculating Floor Areas in Skyscrapers Workshop. 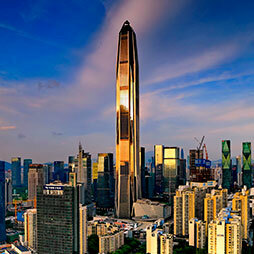 CTBUH has certified the completion of Ping An Finance Center. 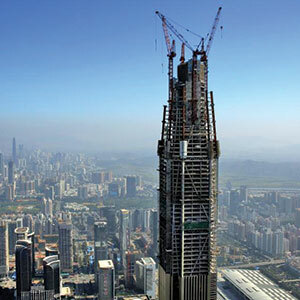 At 599 meters it is the tallest building in Shenzhen, second tallest in China, and fourth tallest worldwide. 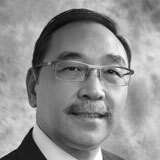 Kenneth Kwan, Rider Levett Bucknall Ltd.
16 Sep 2014 – Ping An Finance Center: In Detail; Kenneth Kwan, Rider Levett Bucknall Ltd.
150m+ Buildings 51 Completed • 15 Under Constr. 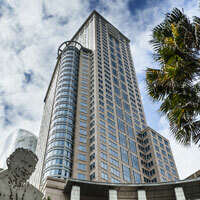 300m+ Buildings 11 Completed • 5 Under Constr.